It has been a challenge getting this far, this build has fought us all the way. Details have been made and remade several times and changes have been made continuously. We actually came close to shelving it for a short while, but we think the finished product will be so nice that it deserves to be produced! Some details and parts are still in progress, but its getting close! Thank you for looking, and keep watching this space or our Facebook site for further news! A new figure in the works, a twist on a full figure this time. 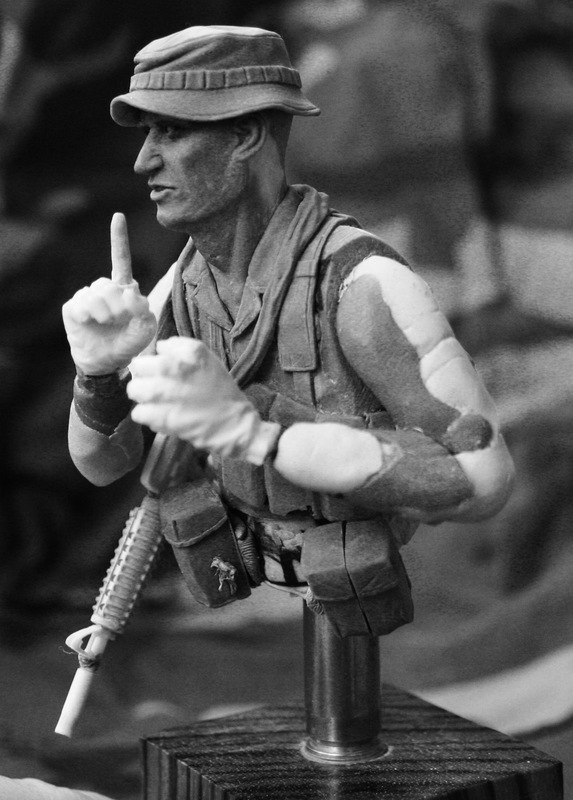 A wading LRRP, signaling to the rest of his patrol to hold. Still a lot to do but there is progress every now and then! First WIP from the new “Men with green faces” -series! 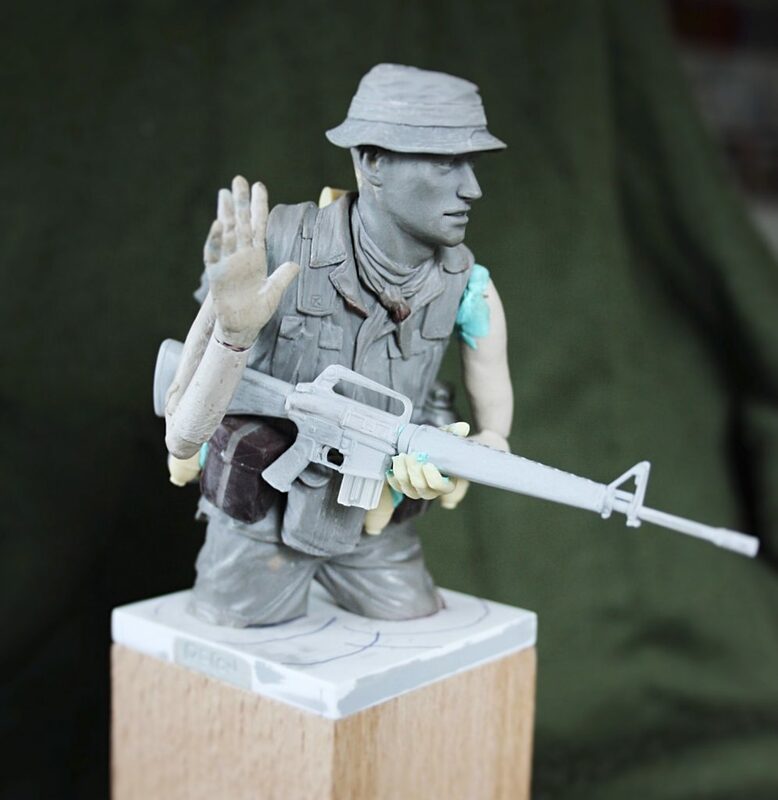 A new series of busts, half figures and full figures are planned focusing on LRRP, SF, SASR, Marine Recon and other special and reconnaissance forces from the war in Vietnam. 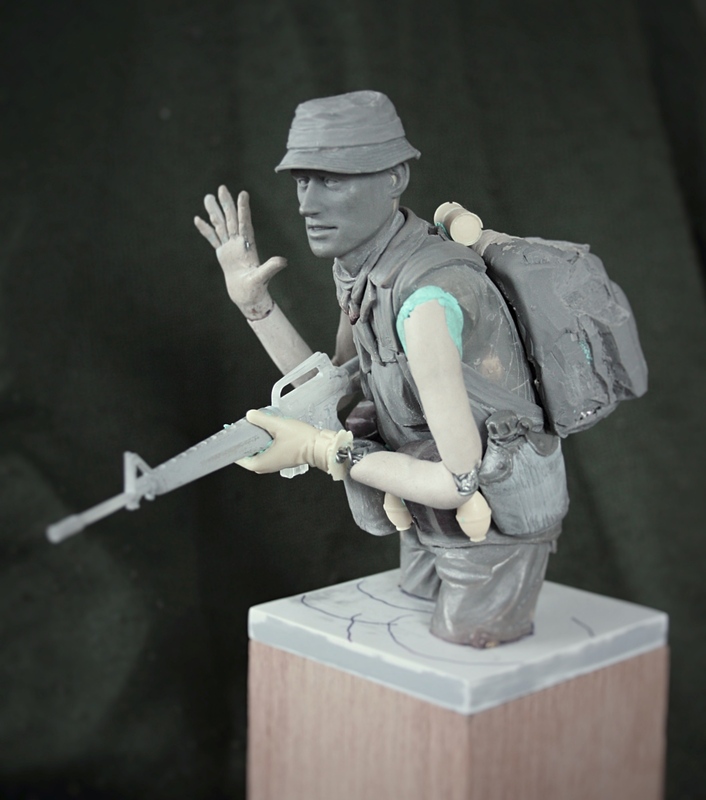 The first WIP is a LRRP with a claymore clacker waiting to set of the ambush, trapping his enemies in the kill zone. 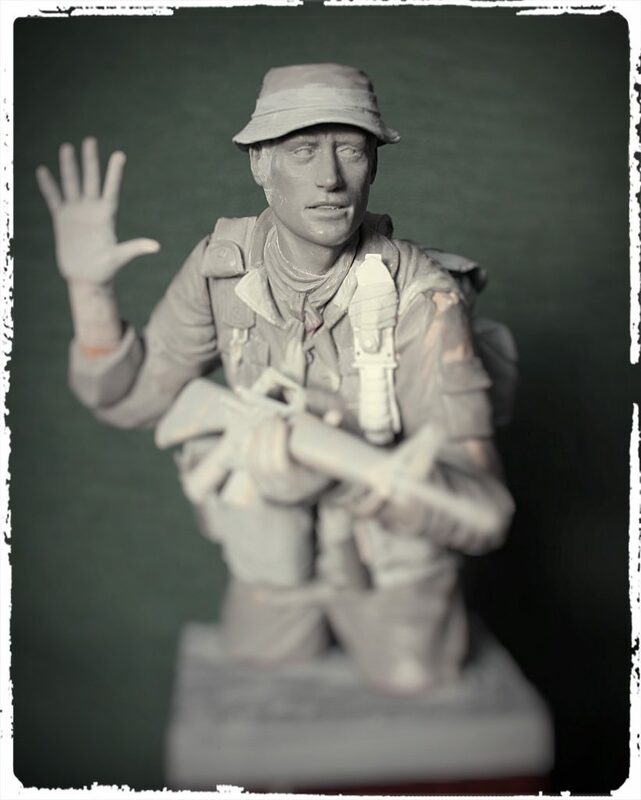 Still a long way to go, and also other Vietnam related busts on the bench, but at least its a start! 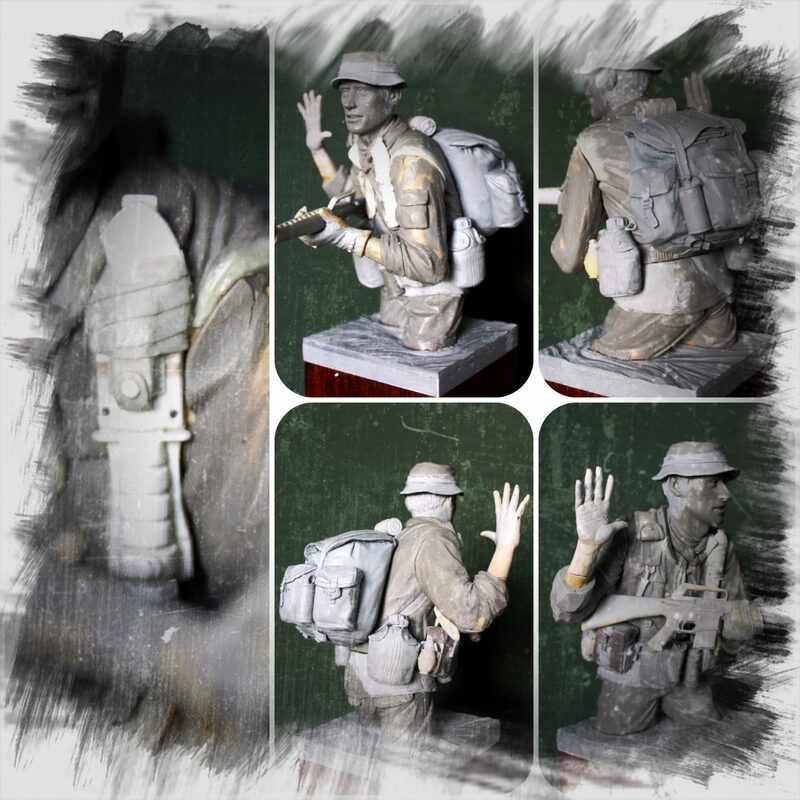 After some delay (moving to a new house, several army exercises, family activities), the bust is about ready for casting! 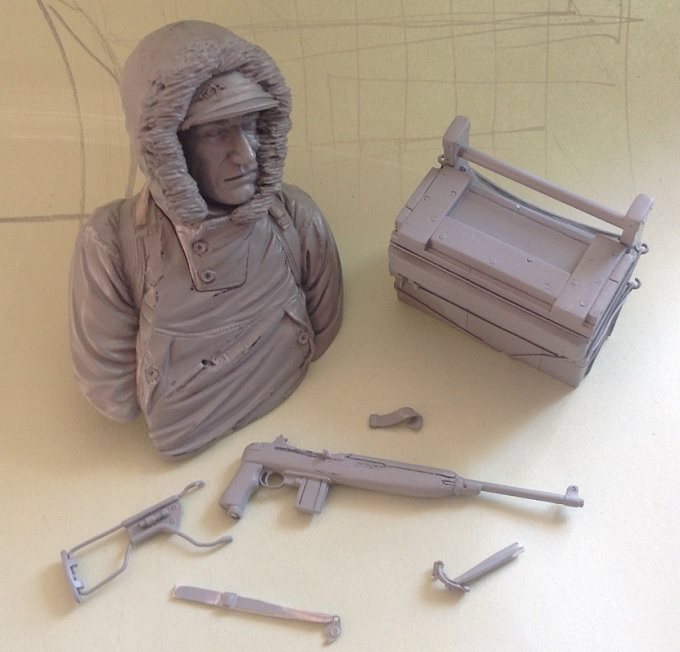 Here is a final quick look at the breakdown of the parts, the head with hood is also a separate piece. Im looking forward to show you the finished castings before I start adding some much needed colour! Here are some pictures of Recon Productions next release in the works! It shows a member of the US/Canadian joint “First Special Service Force” in the mountains near Radicosa, hauling a crate of grenades on his Yukon Packboard. 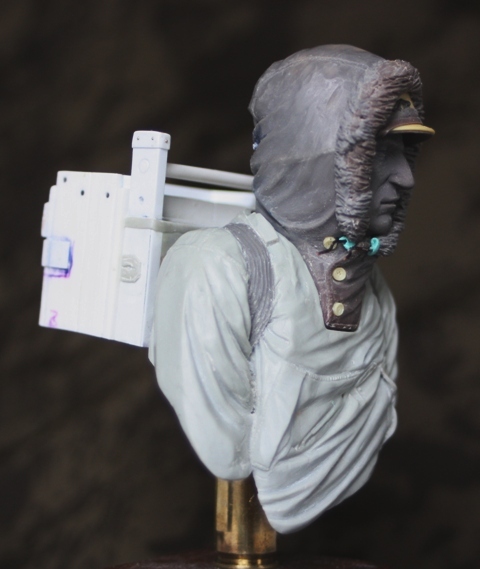 The servicemen nicknamed themselves “Freddie’s Freighters” after the name of their commander, Robert T. Frederick, and the fact that they had to carry all their equipment and supplies themselves or with the aid of donkeys up the steep mountain paths. 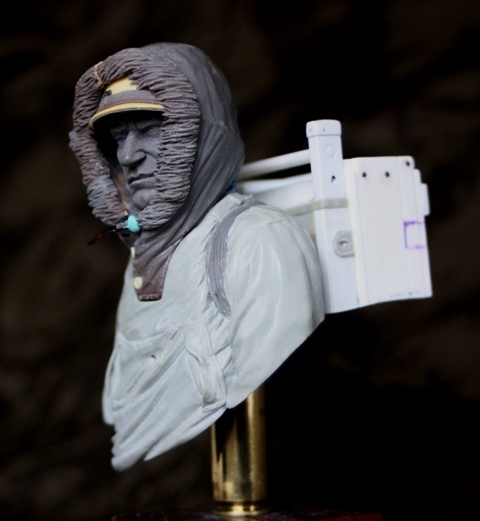 The bust still needs some details and a lot of refinements, the basic shapes are done and his rifle is in the works. 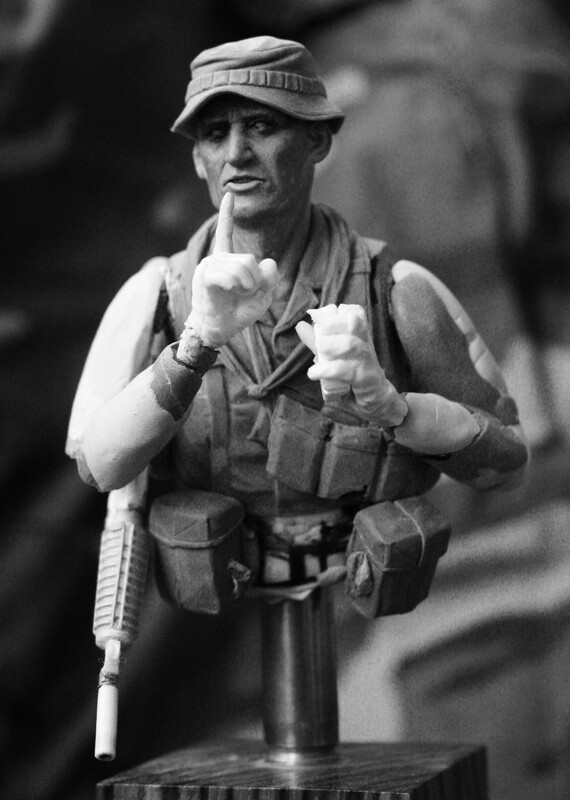 He will have a M1A1 Carbine slung across the front. 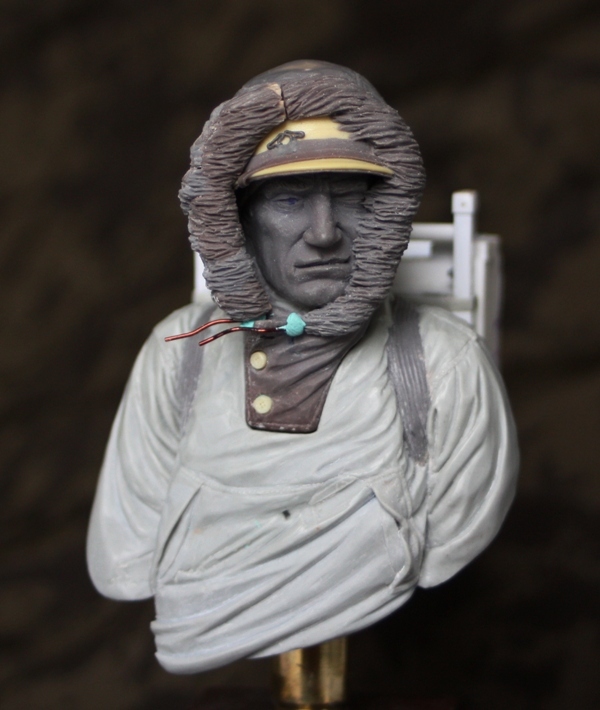 He is made to look like he is squinting againts the strong mountain winds pulling on his clothes and bringing the large crate on his back out of balance. Thank you for looking! Release will be around New Year!